Your new favorite t-shirt is now available in Plus sizes! These short sleeve t-shirts are great for lounging around the house or wearing out for a night on the town. Perfect as a blank t-shirt or dress them up by embroidering your corporate logo or getting out your bedazzler. 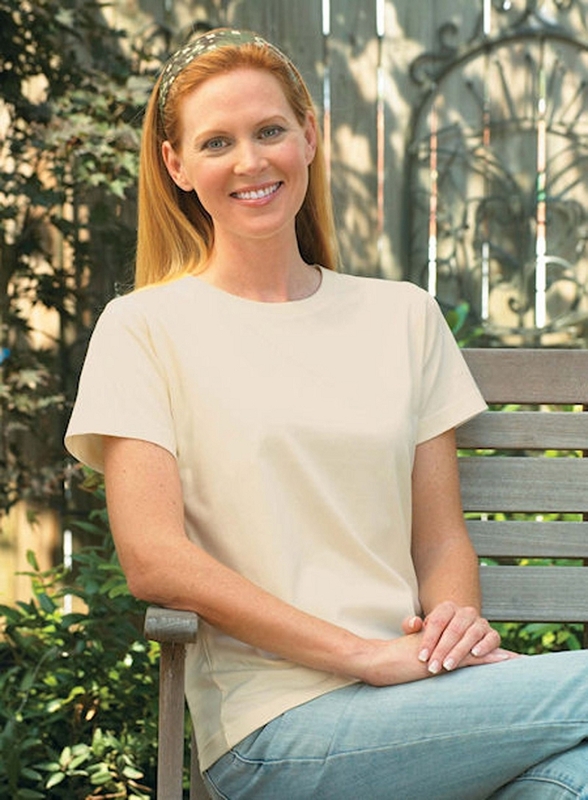 Our women's short sleeve t-shirts are available in over 40 fashionable colors to compliment any wardrobe with options to match your corporate colors, favorite school or sports team and more! *Plus Size* 5.5 oz. 100% combed ringspun cotton (Heather is 93/7) jersey. Topstitch ribbed collar. Taped neck. Double-needle hem sleeves and bottom. Softly shaped for a classic feminine fit. White is sewn with 100% cotton thread.